The Lesley Library Test Collection provides assessment instruments required by Lesley faculty for student research in their assessment classes. The titles represent tests commonly used by qualified professionals in the fields of Education, Psychology, and Expressive Therapies. The collection supports students who are taking assessment courses or completing assessment assignments at Lesley. Titles are selected in consultation with faculty. Arrangements for access to the collection are made by faculty, who provide the names of students in their sections, and a list of tests they are permitted to see. Tests may be reserved by students and faculty for class or individual use for 1-4 hours. Students and faculty must present a valid Lesley ID to check-out tests. Tests are viewed in Sherrill Library and classrooms only. They may not be taken from the building. Study carrels and group study rooms may be reserved using our room reservation system. Tests may not be duplicated in any way, including photocopying, scanning, or smart phone pictures. Tests are for examination only and may not be used for clinical purposes, including for doctoral research. Tests are not available for viewing by non-Lesley personnel. Inquiries about the test collection may be sent to librarytest@lesley.edu or asklib@lesley.edu. Sort search results by "Title," or by "Date Descending" to see newest publication dates first. 130 scholarly articles reviewing the literature and research in particular areas of psychology and counseling, with a strong emphasis on school counseling. 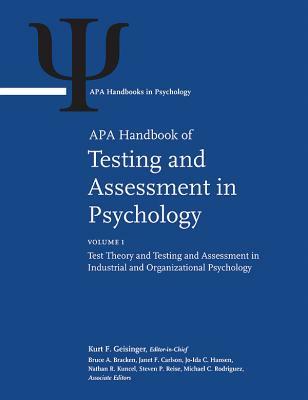 Full-text in the APA PsycBOOKS database (EBSCO).